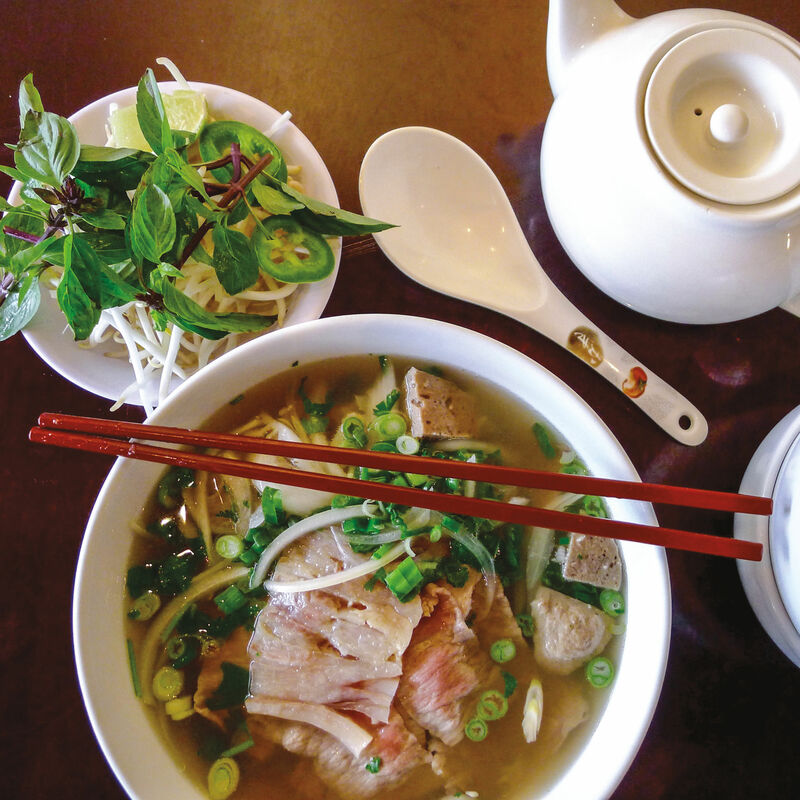 Vancouver's Pho Le has been around in different locations since 1991: a family-run spot that looks like most every strip-mall Vietnamese restaurant, bright and clean as a dentist’s office. 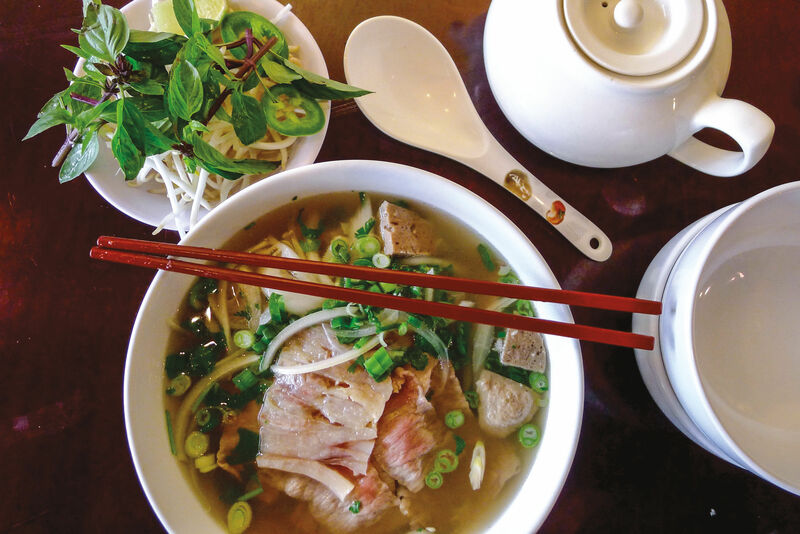 Pho Le delivers the quintessential pho experience: the beefy nourishment, the great gingerbread spices, the eye rolls of happiness. You want the fully loaded dac diet (“super bowl”), or the surprisingly delicious vegetarian pho, which sings with dry-toasted spices.